Again, Germany has been used as transit country for glass eel trafficking! Biggest glass eel seizure ever in Portugal! Operation BLACK GLASS 2016, Guardia Civil/SEPRONA from Sustainable Eel Group (SEG) on Vimeo. Operation ABAIA 2017, Guardia Civil/SEPRONA from Sustainable Eel Group (SEG) on Vimeo. ICES WKEELDATA REPORT 2017 online! SEG welcomes TRAFFIC’s efforts against illegal eel trade in the Philippines! Did aluminium contamination caused the eel stock decline? NEW Report of the Working Group on Eels (WGEEL)! SEG welcomes that EU draft decisions were accepted at CITES Cop 17! Click here to read Historical data to plan the recovery of the European Eel by Miguel Clavero and Virgilio Hermoso. European eel management needs to be refocussed! The latest European Commission report to the Council and European Parliament makes a strong call for further attention on environmental actions for the eel. The report goes on to explain the difficulties of measuring eel population and concludes that there is an urgent need ‘for solid estimates’ and a new estimation of stock indicators. 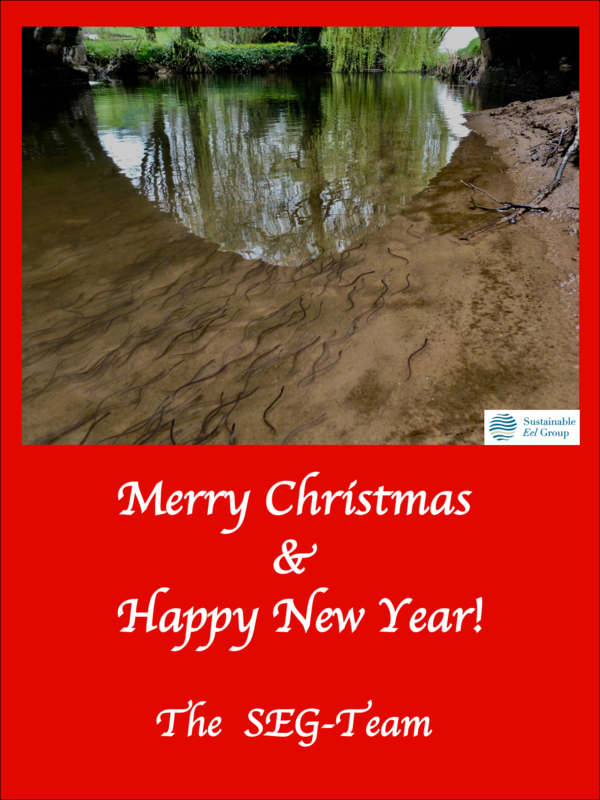 Andrew Kerr, SEG Chairman said “Following the huge increases of glass eel recruitment to the Bay of Biscay and the River Severn in 2013 and 2014, SEG believes nature has been unable to make best use of this abundance because so many natural eel migration pathways remain blocked. The translocation of 90 million plus eel in 2014 as a restocking conservation measure, whilst being highly commendable, cannot be regarded as a lasting or sustainable solution. OUT NEW: SEG 2014 Newsletter! It includes all the latest news about the huge recruitment of glass eels this year, SEG’s emergency relocation activities, and research updates. Having caught millions of fish for restocking in the Severn and Parrett estuaries last month, we’ve been concentrating on moving them over the barriers and upriver. Our first stop for the Severn elvers was the National Trust’s beautiful regional HQ at Attingham Park in Shropshire. The National Trust team did an amazing job attracting the crowds and explaining how the number of elvers arriving in the Severn estuary this year is the biggest in 3 decades. A hundred people – including dozens of excited youngsters – joined the teams from SEG, the Severn Rivers Trust and the National Trust to welcome the elvers to their wonderful new home. The youngsters loved helping the elvers! After re-homing 6,500 fish at Attingham Park we joined a team of conservation volunteers from Shrewsbury School, and thousands more fish were introduced to the Severn in front of the boathouse. As always we had great support from the media. Our thanks to all for making a very memorable day! All of the latest news and views on eel has been packed into the new 2013 SEG newsletter. Happy reading and have a great Christmas! SEG’s rapid progress and achievements were outlined to the IFM European Eel Conference in London last month. ‘Get the solutions flowing’ campaign launched! Chairman, Andrew Kerr and SEG Member Alex Koelewijn were active participants in The ‘Get the solutions flowing’ campaign. The Sustainable agenda was a high priority in the thinking of this conference. As the loss and degradation of wetlands continues to accelerate worldwide, innovative thinking and new partnerships are needed to capitalise on the role of ecosystems as natural water infrastructure. Wetlands deliver a wider range of services and benefits than corresponding manmade infrastructure – regulating water quantity, contributing to flood regulation, and increasing resilience to storms in deltas and coastal areas. While increasingly recognised for the goods and services they provide, wetlands are too often overlooked in favour of engineered solutions like dams and dykes. To read more, the latest newsletter of Wetlands International is available to download via the link. View an interview with the UK chairman – Andrew Kerr – on the Cotswold TV website. View the article on the BBC website, or listen to Andrew’s interview on the Today program. 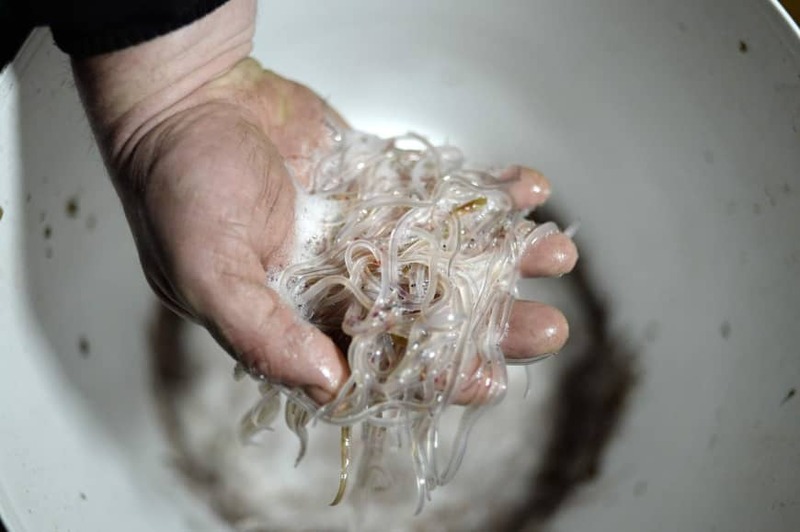 The French Eel Management Plan – will there be glass eels for restocking?